there are Production Boosts on my Farms, Taverns and Blacksmith. 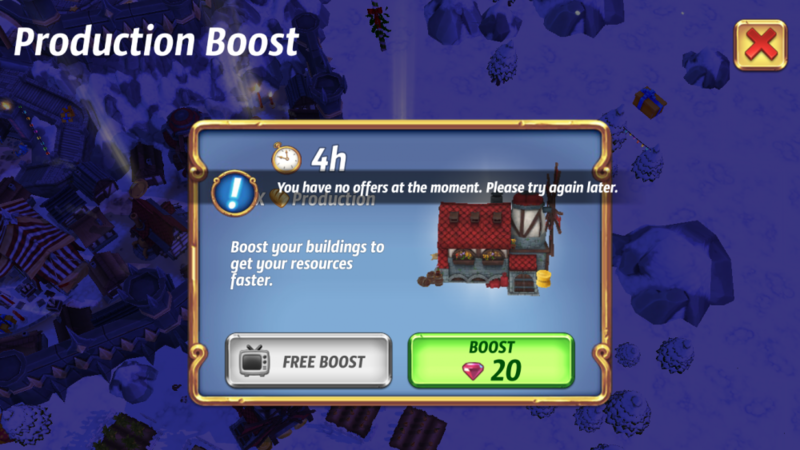 Yesterday the option for a Boost stopped, because when I try to get a boost the screen tells me I have had too many, please try later. I now have friends on Facebook, so my Pal Chest and Guardian Chests get a bonus applied to them. Have the Production Boosts stopped because I now get Facebook Friend bonus'es? Mine and another alliance member also stopped over 48 hrs ago.